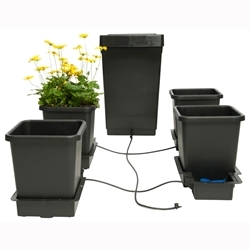 The AutoPot System is an automatic watering system which is suitable for most varieties and sizes of plants. 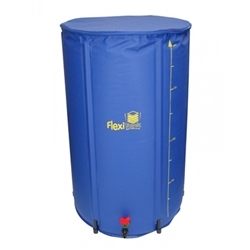 Created for use with the Autopot system, these versatile tanks can be used with any hydroponic system such as the IWS or custom-made systems. In a NFT (Nutrient Film Technique) system, a thin layer of nutrient solution is constantly flowing over your plants' roots, meaning that there is a constant supply of nutrients available. 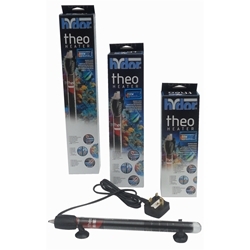 These water heaters allow you to keep your nutrient solution at the optimum temperature for your plants. 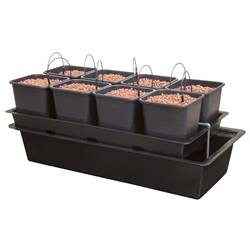 In a Wilma system, plants grow in pots fed by drippers which are above a tank filled with a nutrient solution. 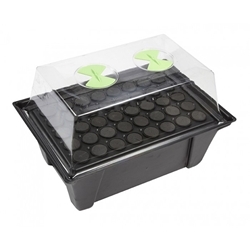 In Aeroponic propagators plants are suspended in neoprene discs with their roots constantly sprayed with a nutrient solution. 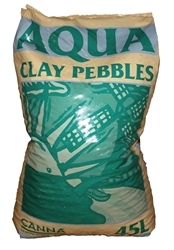 Suitable for use with many hydroponic systems such as Flood and Drain and Deep Water Culture, these clay pebbles provide a clean and effective growing medium. 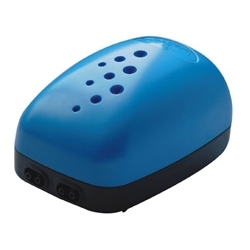 These air pumps are an excellent choice for keeping nutrient solutions filled with oxygen. 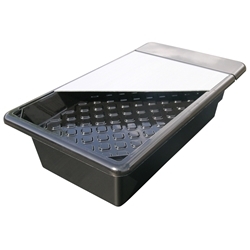 Suitable for use with most hydroponic systems (e.g. NFTs), or when making your own, this range of reliable pumps has a model suitable for most applications. 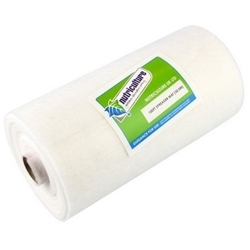 Spreader matting is an essential component of an NFT system. 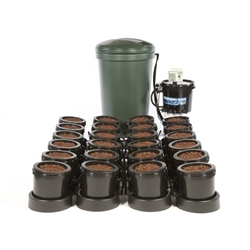 It ensures that your nutrient solution is spread evenly across the base of your plants and provides an additional medium for your plants’ roots to take hold.